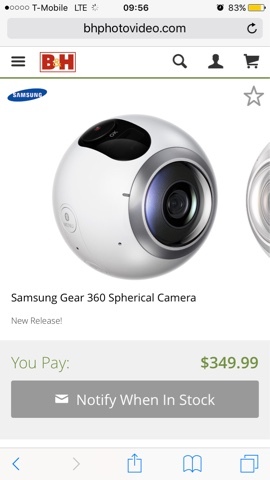 Samsung Gear 360 Price Drop to $350! The Samsung Gear 360 price has been reduced from $400 to $350 at B&H Photo! Insta360 4k Price Drop to $599!